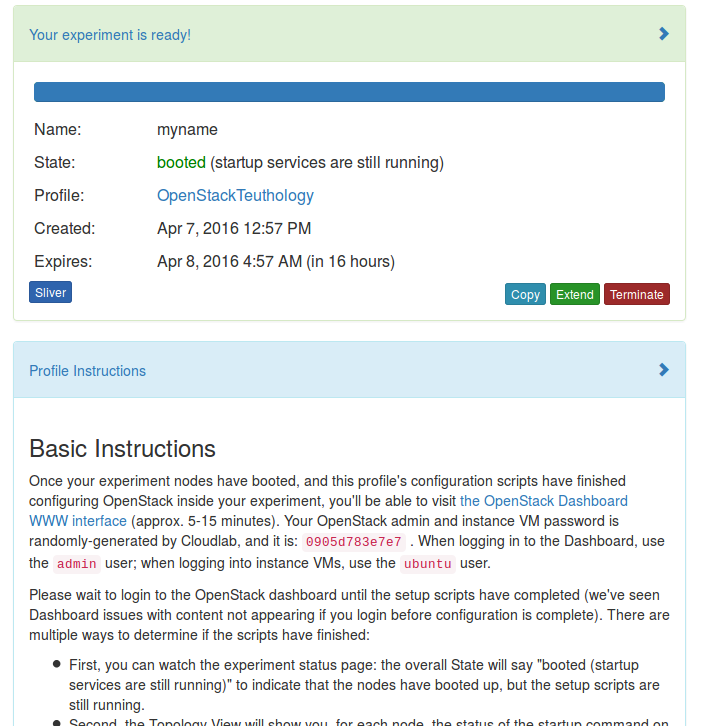 The Ceph integration tests can be run on ARMv8 (aka arm64 or aarch64) OpenStack instances on CloudLab or Runabove. in the last step, choose a name for the experiment. The openrc.sh file must be modified to reflect the chosen name because it shows in the URL of the authentication service. If a new experiment by the same name is run a month later, the same openrc.sh file can be used. the page is then updated to show the progress of the provisionning. Note that it takes about 15 minutes for it to complete: even when the page says the experiment is up, the OpenStack setup is still going on and need a few more minutes. Finally click on Profile instructions to display the link to the horizon dashboard and the password of the admin user (i.e. 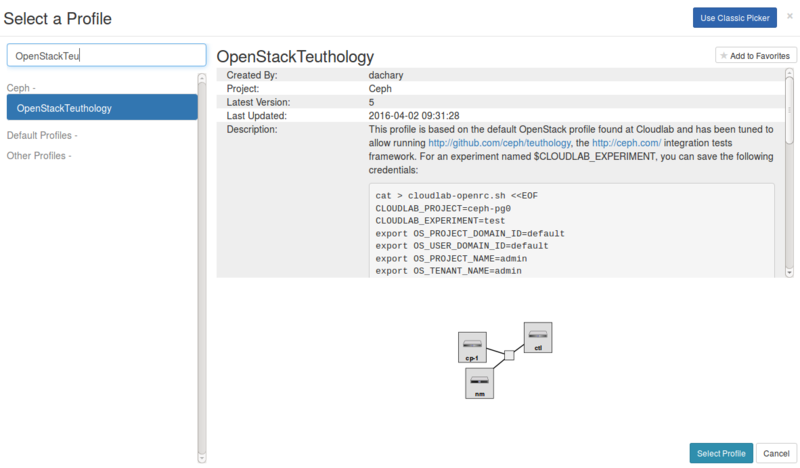 configuring OpenStack inside your experiment, you’ll be able to visit the OpenStack Dashboard WWW interface (approx. 5-15 minutes). 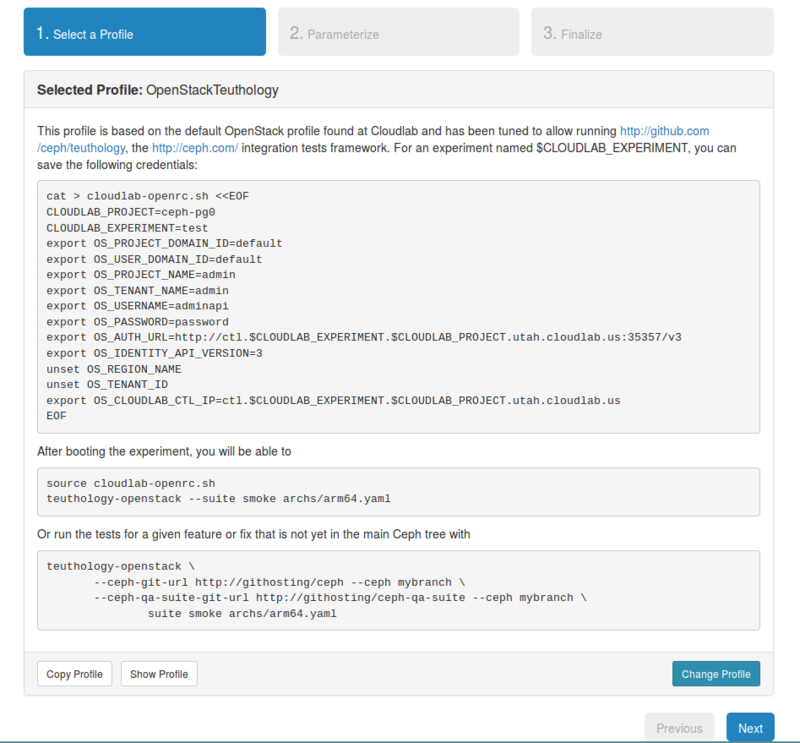 Your OpenStack admin and instance VM password is randomly-generated by Cloudlab, and it is: 0905d783e7e7 .). 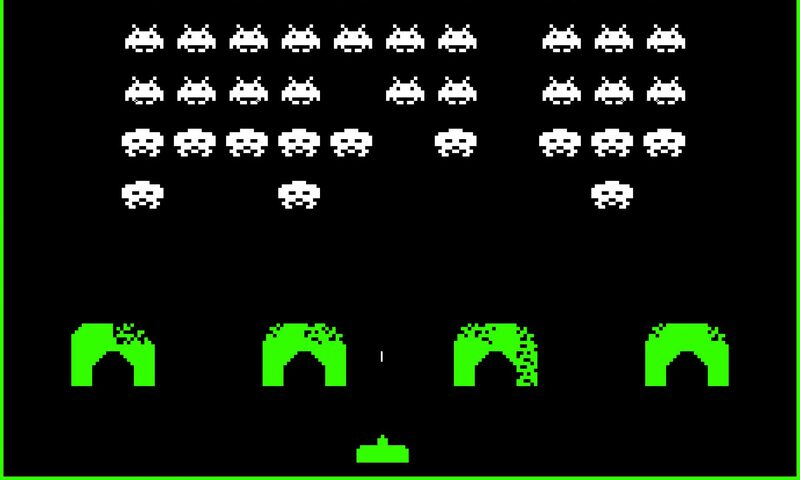 And when the test completes successfully it will show in green. Otherwise the logs of the failed tests can be downloaded and analyzed.